The Kentucky Entrepreneurial Network (KEN) is an Ad Hoc group that is working with stakeholders to design, implement and interpret results of a study examining the resources available for entrepreneurial companies in Kentucky. After the study is implemented we will develop a list of recommendations to be presented to Kentucky’s economic developers, the state legislature and business trade and professional organizations. The Study of the “Entrepreneurial Climate” designed scientifically to gauge the entrepreneurial environment in Kentucky as viewed by active entrepreneurs. The goal of the study is to determine the past awareness and perceived effectiveness of programs designed to help the entrepreneur and what changes need to be made to provide better assistance to the entrepreneur. The Kentucky Entrepreneurial Network (KEN) is an Ad Hoc group that is working with stakeholders to design, implement and interpret results of a study examining the resources available for entrepreneurial companies in Kentucky. After the study is implemented we will develop a list of recommendations to be presented to Kentucky’s economic developers, the state legislature and business trade and professional organizations. The Study of the “Entrepreneurial Climate” designed scientifically to gauge the entrepreneurial environment in Kentucky as viewed by active entrepreneurs. The goal of the study is to determine the past awareness and perceived effectiveness of programs designed to help the entrepreneur and what changes need to be made to provide better assistance to the entrepreneur. The study is a collaboration of Sustainable Business Ventures Corp, Delta Dental of Kentucky, IQS Research, Sheltowee LLC and the Kentucky Entrepreneurial Network (KEN). SBV, a 501 (c)(3) non-profit, serves as the fiscal agent of the grant and is providing project management services to implement the study and launch KEN. 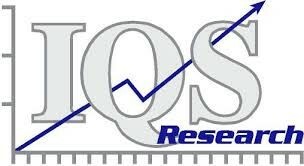 IQS Research, in Louisville, has assisted in the design of the study. The study is targeted to businesses with less than 100 employees. Our team has reached, or is in the process of reaching out to all of the key trade and professional groups and technical services providers like the Small Business Development Centers and the Kentucky Innovation Network to get their assistance get the survey link to their memberships and clients. The Kentucky Entrepreneur Network will connect entrepreneurs to each other, mentors, investors, technical service providers, and education resources, professional trainers and consultants to start and grow businesses. This robust network of entrepreneurs and service providers will help entrepreneurs and small business grow. Since small business owners create two-thirds of all new net jobs, this initiative will be a key factor in growing the economy in the Commonwealth and beyond! KEN is seeking additional sponsors to launch the Kentucky Entrepreneur Network. Delta Dental of Kentucky is the premiere sponsor of the program with a $50,000 grant. KEN has secured another $25,000 in in-kind sponsorships and is seeking additional funds to insure the best implementation of the study and growing the Kentucky Entrepreneur Network. For more information, visit www.KENL3C.com.